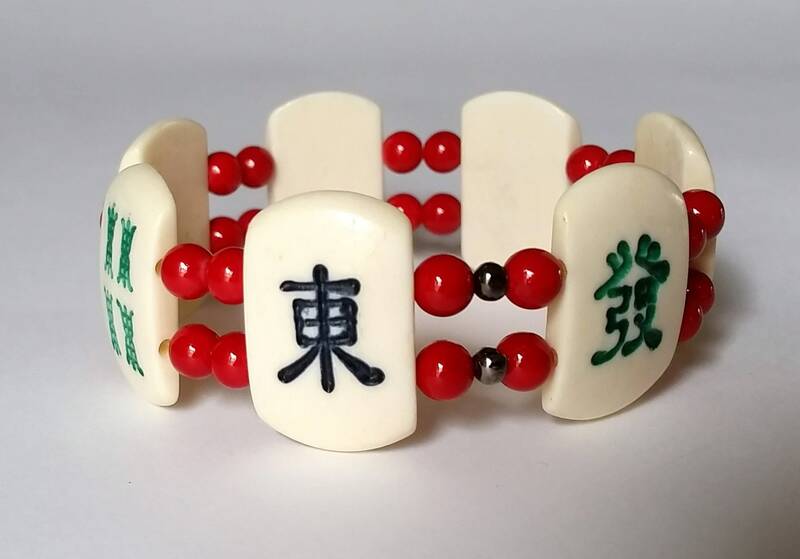 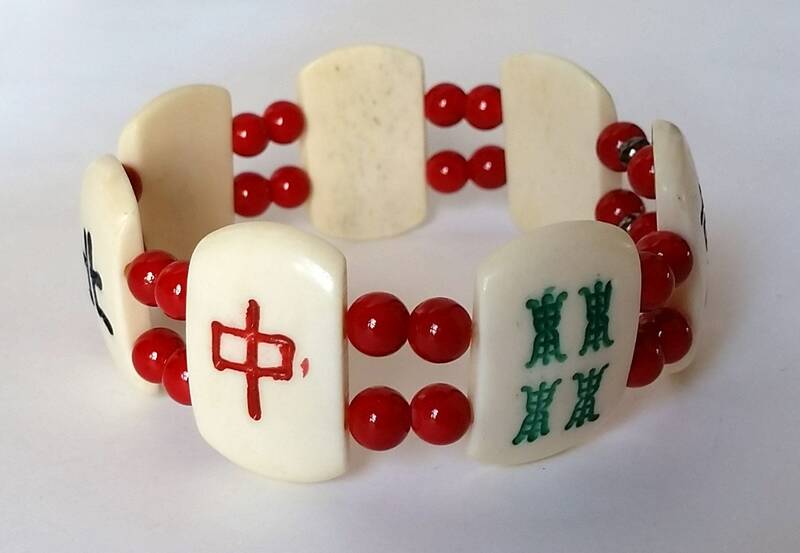 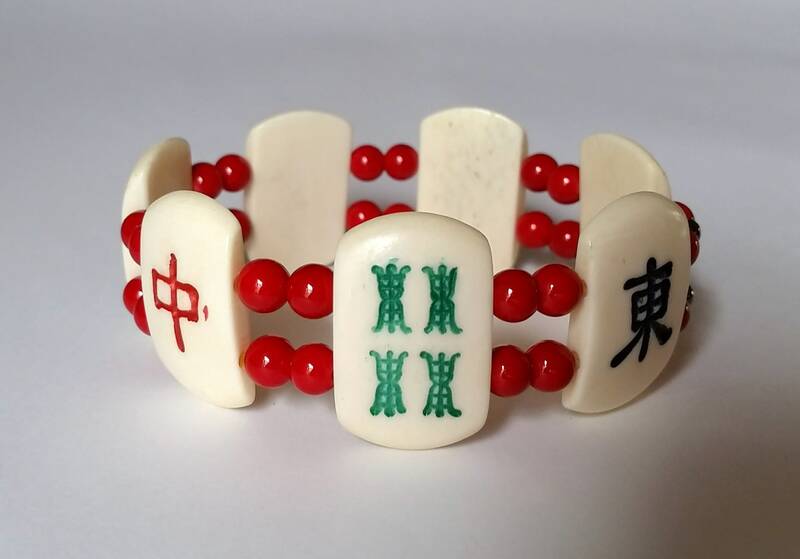 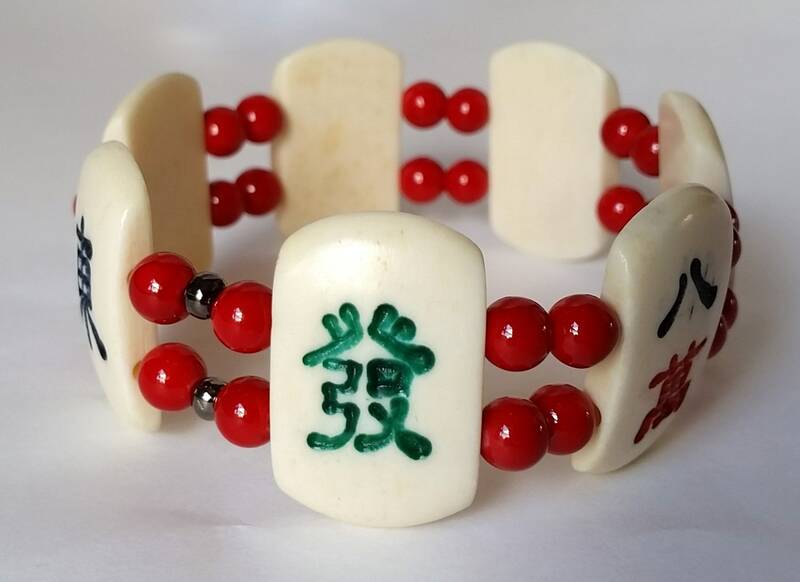 Rounded rectangular MahJong game tiles make up this bracelet along with round red beads to accentuate the red in some of the tiles and the Asian heritage of the game! 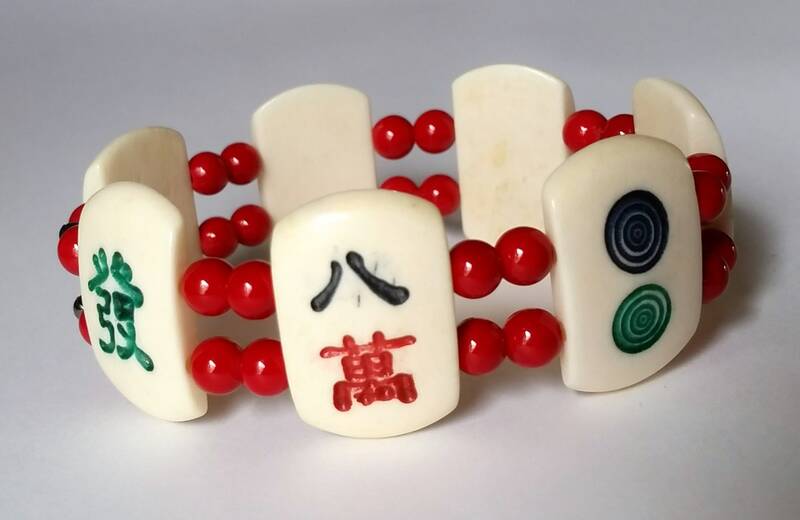 The 7 MahJong tiles include red Dragon, 4 Bam, East, Green Dragon, 8 Crack, 2 Dot, and North. 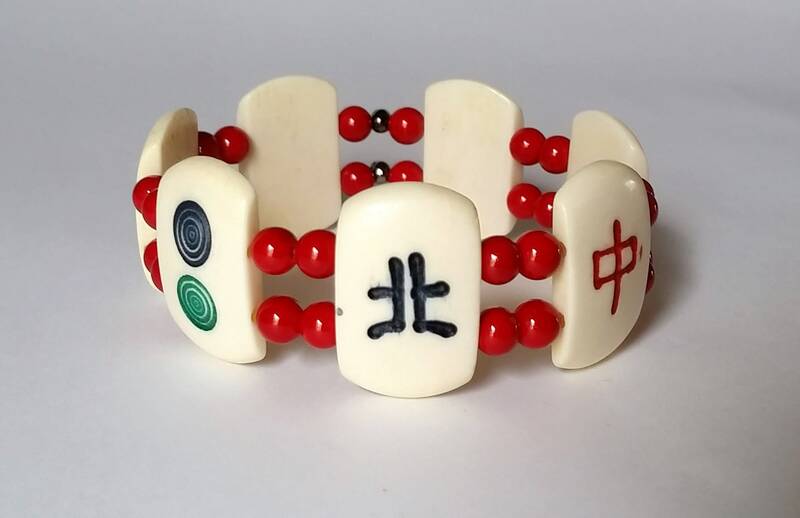 The carved tiles have red, black and green in the etched symbols. 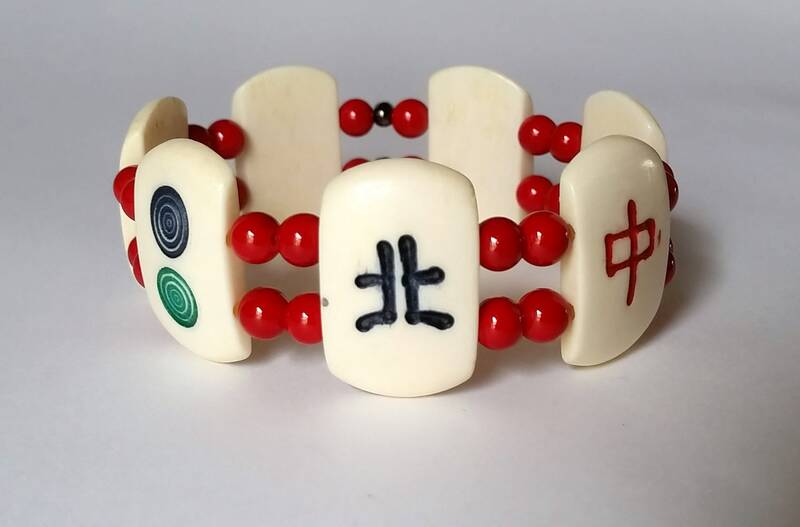 This cuff-like stretch bracelet willl fit those with an average to large wrist sized approximately 6.25 - 7.25 inches, and is sure to attract attention to your Mahj game and hopefully good luck as well!